The official sod turning for the 8 new joint use schools in Saskatoon, including the public and Catholic schools in Stonebridge, was held on Friday. The two schools in each community (Evergreen, Hampton Village, Rosewood and Stonebridge) will share spaces like multipurpose rooms, a community resource centre and an early learning centre (childcare). The community will have after school access to the community resource centre, gymnasium and other multi‐purpose rooms. The public school in Stonebridge (yet to be named) is receiving an additional $2.7 in federal government funding to support a partnership between Saskatoon Public Schools and the Whitecap Dakota First Nation. As part of this partnership, approximately 75 WDFN students in grades 5-8 will attend the Stonebridge school (currently they are bused to three city schools). This funding will support four additional classrooms and a cultural centre. The cultural centre will be open to the community. There will be 90 childcare spaces available. Further information, including the operator, will be provided closer to the opening date of the schools as these details have not been confirmed. It is expected construction will finish June 2017 and be open to students for the start of the 2017-18 school year. The Greater Saskatoon Catholic School in Stonebridge is named St. Kateri. The Saskatoon Public School is yet to be named, but we should know by the end of the year. As we hear more, we will be sure to share this information on Facebook and our website! Our SCA annual general meeting will be held on Wednesday, September 9 at 7 pm at Circle Drive Alliance Church. Topics of the meeting include a review of 2014-15, an overall financial update and new member elections. 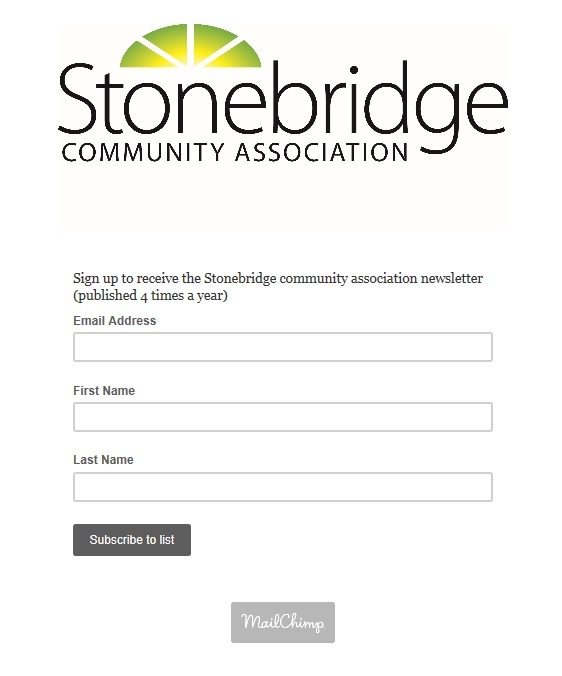 Remember, SCA is a group made up of members of our community volunteering their time to make Stonebridge a great place to live. If you are able provide a few hours a month, have great ideas and want to have fun, please join us at our AGM to find out more about being on our executive. Join SCA for Movie in the Park on Friday, September 11 in Alexander MacGillvray Young Park (corner of Stonebridge Common and Snell Cres), featuring Inside Out. Popcorn, candy (kids only! ), water and juice will be provided. Bring your own blankets, hot beverages and additional snacks, and don’t forget to pack your mosquito spray! Please note, chairs and strollers will only be allowed at the back. There will be a porta potty on site. Thanks to Sobeys for supplying the water and juice, to CIBC for supplying the popcorn and to Realtor Tarra Unterschute for supplying the candy bags. Please support those that support our community. In the event of HEAVY RAIN, the movie will be moved to Circle Drive Alliance Church on Preston Avenue. Start time will be at 8:45 pm. Please note, the church has a maximum capacity of 200 people.